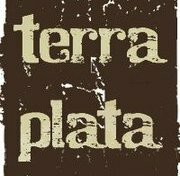 terra plata... an "earth to plate" concept is the result of chef tamara murphy's love for creative & delicious plates inspired by the seasons and made possible by our local growers and artisan producers. We offer a full selection of wines by the glass, seasonally inspired hand crafted cocktails, local spirits & ciders, and locally brewed draft beer. weather permitting, enjoy a bite and a glass of wine on terra plata's beautiful rooftop dining area, surrounded by our edible garden. every monday evening is paella night, featuring paella, pinxos & tapas, spanish wine flights, seasonal sangria, and hand crafted cocktails inspired by spain. terra plata is located at the south end of the melrose market between pike & pine in seattle's capitol hill neighborhood.